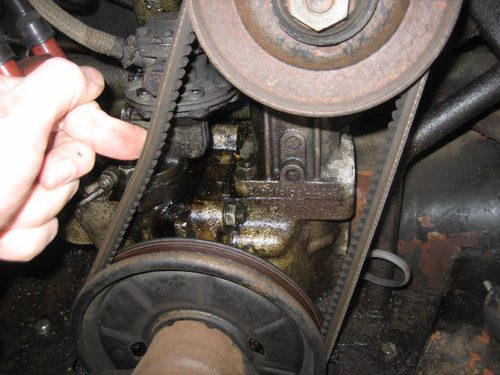 VW Q&A: How much give should a pulley belt have? How much give should my bug's pulley belt have? 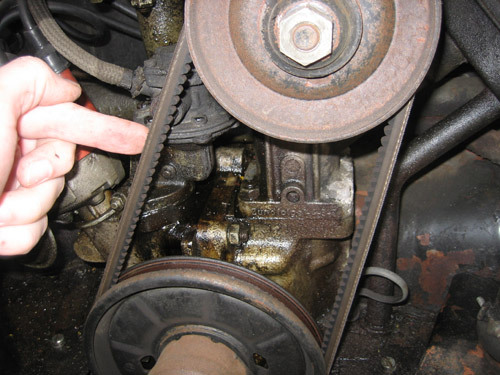 The pulley belt - the belt at the back of the Volkswagen's engine - should have about half-an-inch to an inch give in it. In other words, you should be able to push it in a bit, but not much. See the pictures below for a guideline.